This is my first chia seed pudding experiment and it turned out pretty good so it’s time to share this recipe with you. It’s very easy to make, takes less than ten minutes to prepare, requires only a few ingredients and tastes refreshing. Chia seeds deliver a huge amount of nutrients with very few calories, they are loaded with antioxidants and full of fiber, omega-3 and protein. In a small bowl, combine the milk, agave syrup, vanilla extract and chia seeds and mix it. Pour mixture into a jar and refrigerate overnight, or until it reaches the desired thickness. Make separate mango & plums compote. Peel the mango and cut mango and plums into pieces. Add mango and plums into the pot with little water and coconut sugar, put on the fire and cook until mixture softens by adding more water if needed. Pour mixture into a jar and refrigerate overnight. 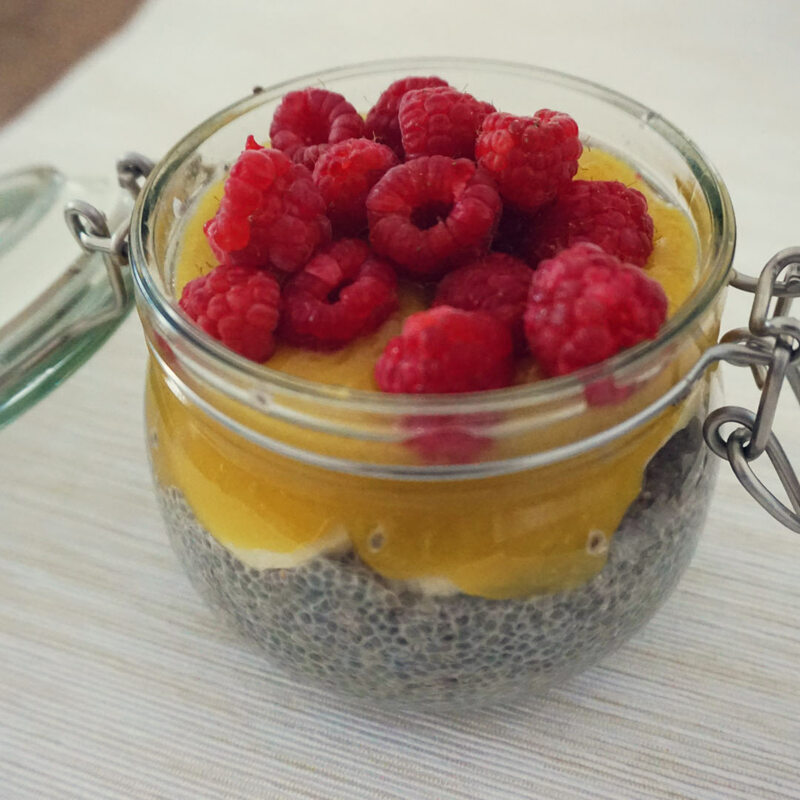 Serve chia pudding with mango & plum compote over and raspberries sprinkled on top.